KOReader, in comparison to Amazon's native Kindle operating system, offers more features for PDF documents. However, KOReader's software is not stable and the interface is convoluted; the KOReader project is an excellent community driven project but there has been no stable release since November 2015. Thus, to get the right version to work with recent devices, e.g. the Kobo Aura One, it is necessary to download and install a nightly build. Despite the extra features that KOReader supports, I still prefer Kindle's software. In my opinion, what makes the Kindle's software preferable is its simplicity. The menus are simple and clear - there is one display settings menu that changes orientation, margins and increases contrast. The pinch to zoom, relative to other E-Ink e-readers, works well. Further, highlighting is smooth and dictionary, Wikipedia and translation look-up are all supported. In other words, Amazon put some thought into their PDF support and get the necessary features right. This good PDF support is a significant factor that makes the recently announced Kindle Oasis, with its extra screen estate, an attractive e-reader, despite its relatively high pricing. Amazon released an updated version of their premium Kindle - the Kindle Oasis. I still think the Oasis does not justify its price and the label 'premium' is more marketing than anything substantial. However, at least with this iteration there is something, on paper, that justifies its existence. 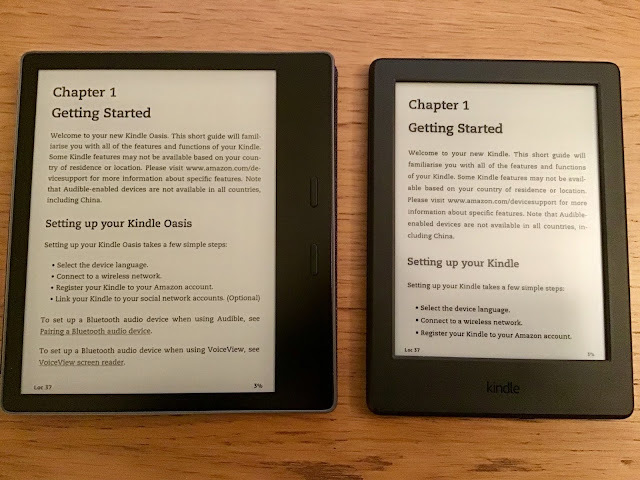 The important upgrade is the screen size - the updated 7 inch screen is the first non-six inch e-reader that Amazon has released since the Kindle DX. The size increase, finally, is a welcome addition but the size does not justify the device's pricing; the same point, to a lesser extent, applies to waterproofing, Audible integration, 8GB storage and greater number of LEDs for a more uniform front-light. 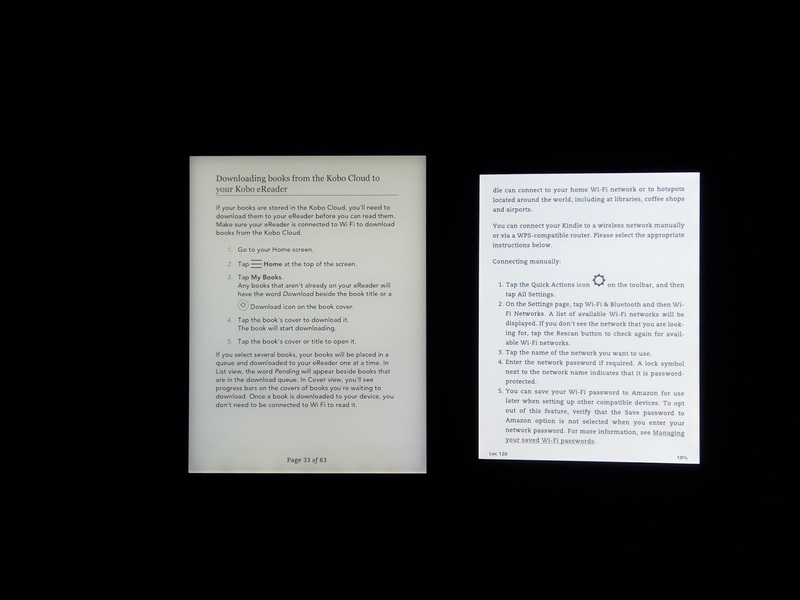 I don't expect a refresh for the Kindle Paperwhite or Voyage soon and when a refresh arrives it is possible these device will not get the larger screen. I think the significant demand for a larger screen - something admitted by an Amazon employee here - is being used to differentiate the high-end Oasis (the first generation offered relatively little for its 'premium' label) in comparison to other Kindles and to entice users to purchase the higher-end device. In my opinion, at the moment, the Paperwhite remains the best Kindle to purchase. 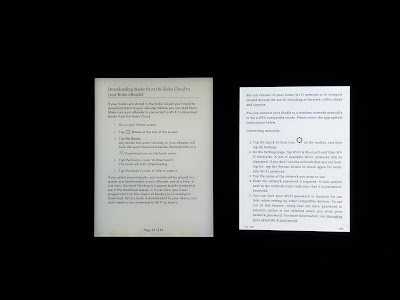 For a larger e-reader the better option is to go for the 7.8 inch Kobo Aura One or the first generation 7 inch Kobo Aura H20.